A former Atlantic City fire captain convicted of molesting an underage girl is looking for a new trial. 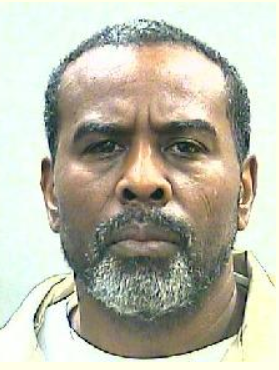 Adrian Wilson, 57, of Egg Harbor Township, was released from South Woods State Prison in 2014, after serving about four years of his 12-year sentence or charges of criminal sexual contact and three counts of endangering the welfare of a child. The victim was 12 when the abuse started. The jury was unable to reach a verdict on charges that included aggravated sexual assault and sexual assault, as well as charges related to allegations that Wilson inappropriately touched the vicitm’s younger sister. Wilson has continued to deny the crime, saying at his sentencing in 2011, that the claims were made out of “jealousy and resentment of my wife,” a blood relative of the victim. Now, he’s looking for post-conviction relief in hopes of getting a new trial. Attorney Joseph Levin argued that there was a conflict with his trial attorney that Wilson did not know about. The conflict was not with Mark Roddy, who was lead in the case, but with his co-counsel, Meredith Hamson. Hamson, now Meredith Frankel, had coached one of the sisters in cheerleading. Hamson-Frankel’s role in trial “was very limited,” Superior Court Judge Bernard DeLury said during the hearing Monday. So too was her interaction with the girl, said Assistant Prosecutor Melinda Harrigan. “There was no relationship,” Harrigan said. Instead, it was two to four practices Hamson-Frankel led for a group of about 25 girls that was not her regular cheerleading squad. DeLury is expected to make his ruling Dec. 6. As part of his sentence, Wilson was banned from public service. He also is under lifetime supervision as a Megan’s Law offender, although his profile does not show up on the online registry.